Established in 1988, Lloyd Lindsay Corporation has been operating under the name of Lindsay Construction Services (LCS). LCS is recognized as a premier design/build company, remodeler, custom home builder and commercial General Contractor. Our offices are located in Arkell, just a short drive to the University. The success and reputation of LCS has been built over the past 25 years through a passionate commitment to uncompromising quality, service and attention to detail. 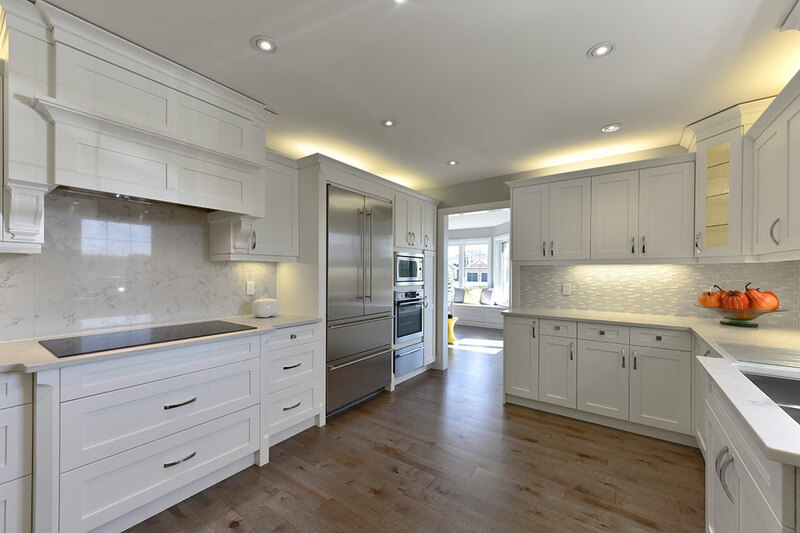 LCS has been the construction company of choice for a broad range of satisfied customers, on projects ranging from small renovations to multi-million dollar residential and commercial projects. Lloyd Lindsay is the founder, owner and President of Lloyd Lindsay Corporation, and Lindsay Construction Services. Lloyd has over 30 years of experience in all aspects of institutional, residential and commercial construction. Lindsay Construction Services has completed over 1,000 commercial, institutional and residential projects of varying sizes and complexity, with a combined value of over $80,000,000. Our reputation and passion for providing our customers with ‘Uncompromising Quality’ has earned LCS accolades in the industry, and much praise and appreciation from a long and growing list of satisfied clients. Lindsay Construction Services has completed over 1,000 commercial, institutional and residential projects of varying sizes and complexity, with a combined value of over $80,000,000. Our reputation and passion for providing our customers with ‘Uncompromising Quality’ has earned LCS accolades in the industry, and much praise and appreciation from a long and growing list of satisfied clients. Our projects in 2015 include two custom homes valued around $1,000,000 each, 6 large renovation projects, and an apartment building. As a Christian company we corporately and individually give back to the community by supporting various causes financially, as well as volunteering time and services. Corporately we get together a number of times during the year for such events as baseball games, BBQ’s, and staff recognition. Many of our employees are friends outside work, and get together for various activities including motorcycle touring, sports teams, entertainment and getting together in their homes.